I don’t know about you, but I cannot wait to head home for the holidays this weekend. Family, friends, and FEASTS await! I’m getting antsy just thinking about it. Alas, there are still two days standing in my way, and I think I might as well get some nutrition in now. 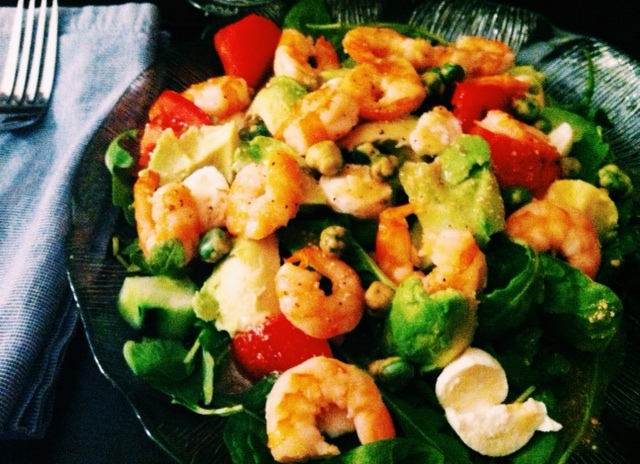 This shrimp salad is cheap, easy and deliciously satisfying. 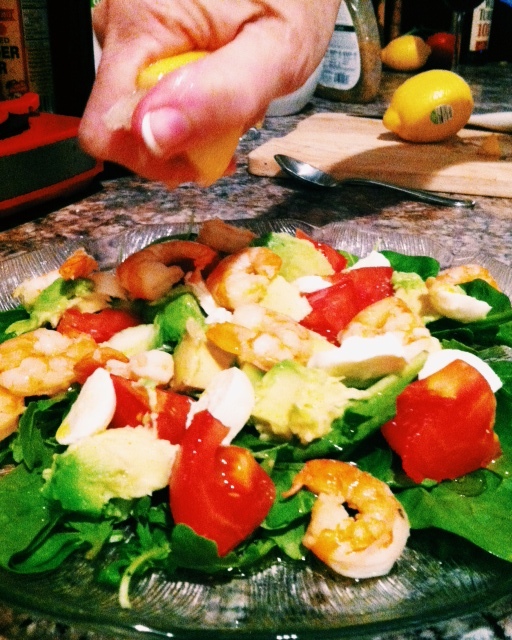 You’ll need a tomato, 1 ball of mozzarella, spinach, avocado, lemon, olive oil, and 1 package peeled frozen shrimp. 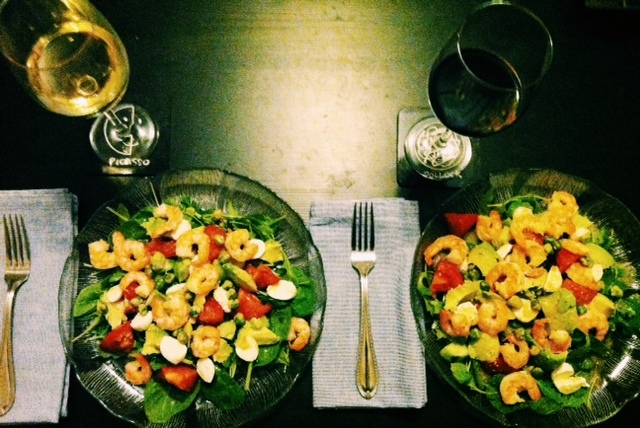 Simply cook the shrimp in a pan on the stove top, chop up the tomato, mozzarella, and avocado, and toss on a bed of spinach. For a super light dressing, drizzle on olive oil and squeeze half a lemon’s worth of juice. Add on any other salad components you like! You’ll feel good, look good, and temporarily stave off the inevitable Christmas vacation pounds. Enjoy! Happy Monday! Thank god it’s essentially over. Per usual, I returned from a weekend trip and had zero food for the week. I worked from home today and managed to find some peanut butter and a sweet potato to consume. Talk about LAME. I mean, I’m supposed to be running a food blog here. 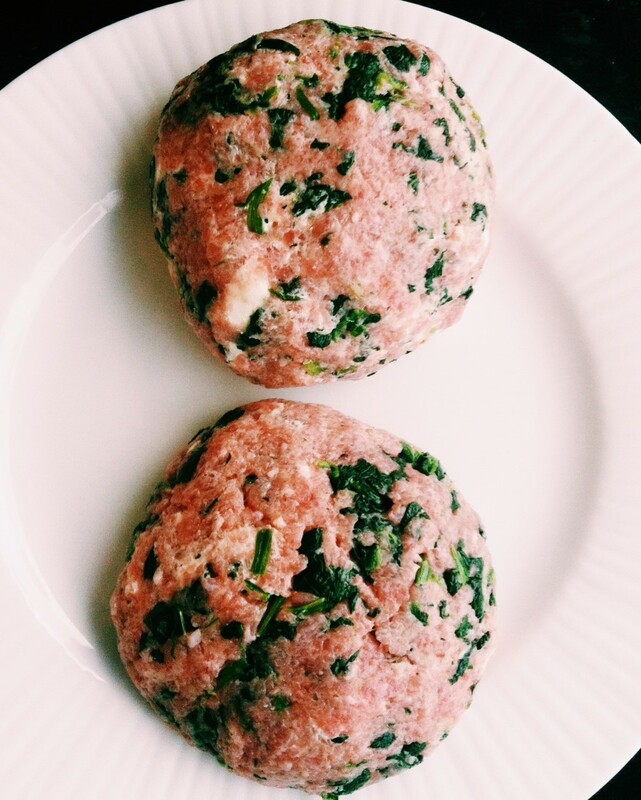 So this evening, I did my usual Target run and decided for a super lean and fantastically filling dinner- Spinach & Goat Cheese Turkey Burgers! These babies are super easy and cheap. This totaled to $15 for me and made three individual patties. Sounds like work lunch leftovers! Pop them on the grill, roughly 7 minutes per side for roughly 15 minutes total. Remove, and keep grill on high heat. 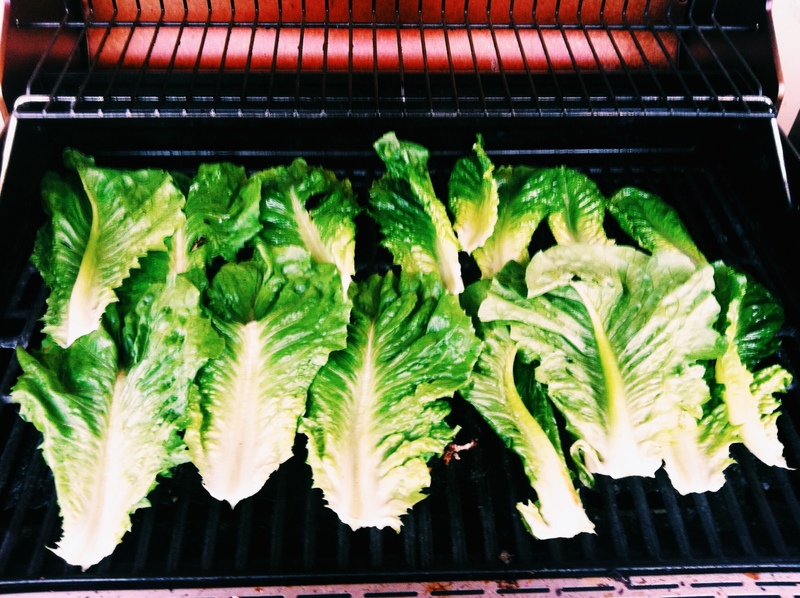 Take your romaine leaves, spray each side with Pam, and grill for 4 minutes or until charred and wilted. While all this is happening, have a partner in crime prepare any and all toppings. Get creative! 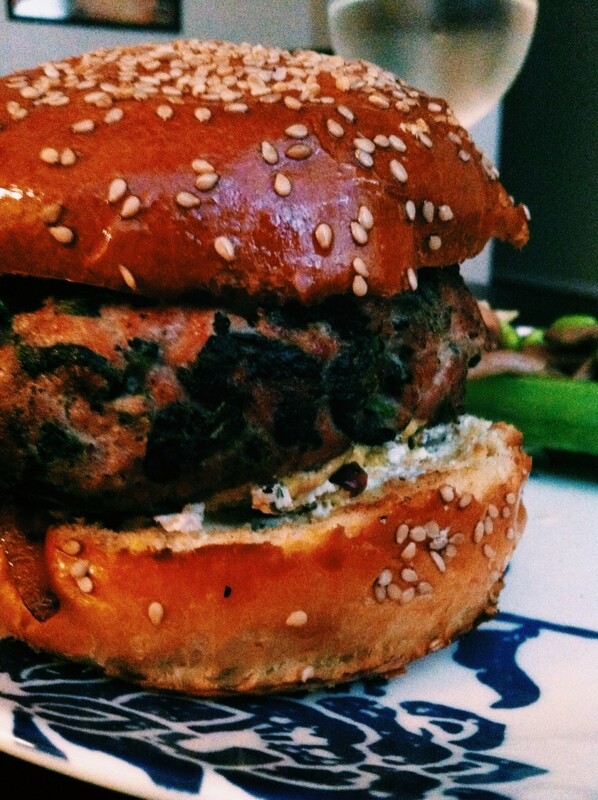 That’s the beauty of burgers, they can go in SO many different directions. I like a very eclectic flavor profile personally. 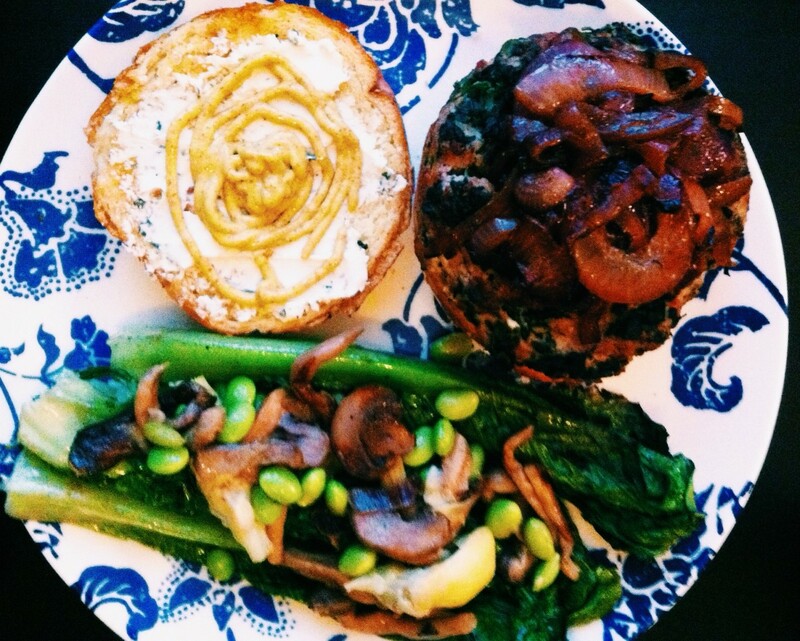 Below are sauteed onions on the burger, and goat cheese and mustard for the condiments. We topped the grilled salad with mushrooms, edamame, and hearts of palm. What did you have for dinner? ?